jolly decorations and Christmas trees everywhere, the only thing lacking is snow. Oh and that's a turkey. And goose. They're getting me all giddy! 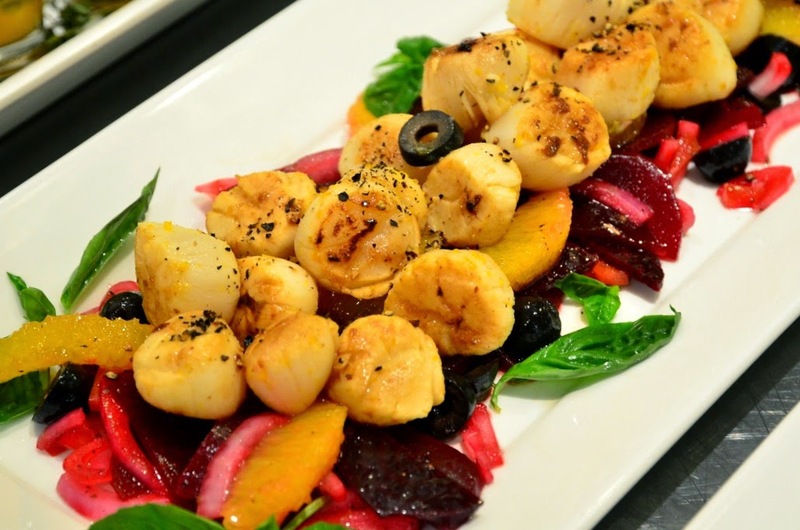 will be rolling out lavish buffet spread for Christmas as well as New Years Eve. That's Chef Hazimin, their super cute junior sous chef posing with the highlights of the buffet spread. it was crunchy on the outside and soft on the inside. 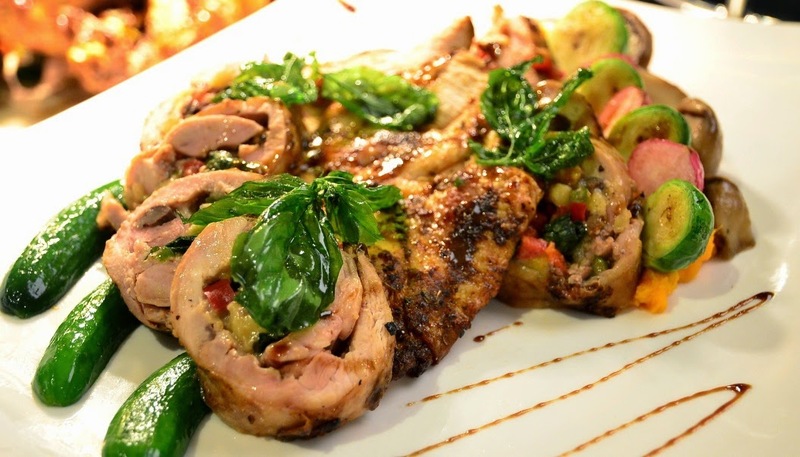 Turkey, the must-have for Christmas! This turkey was extra tender and juicy as it is organic! 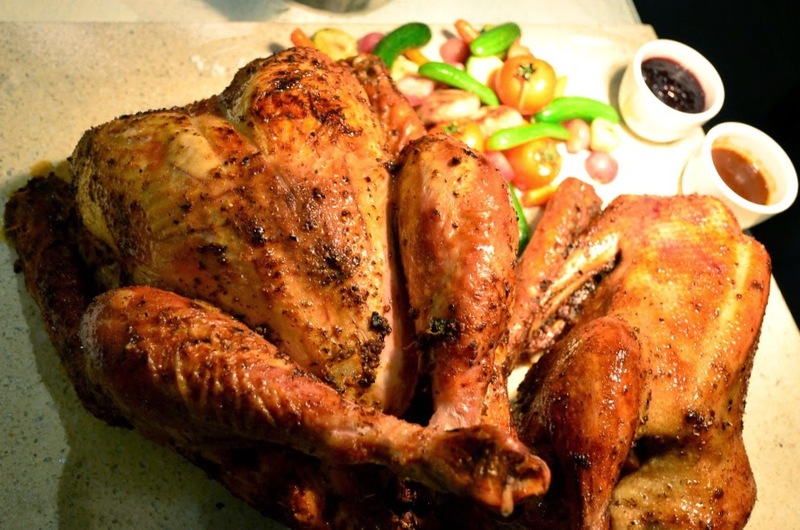 The turkey was 70% grass-fed and bred in our tanah air. 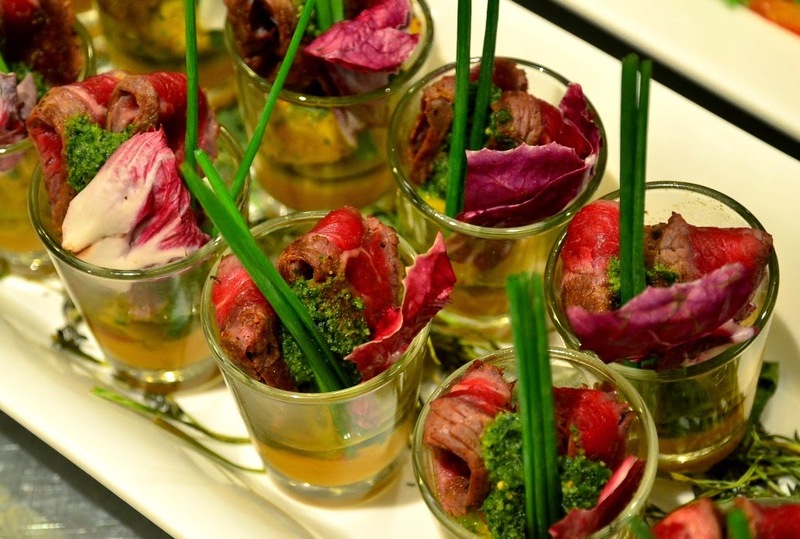 The goose on the other hand, also organic, was succulent and lean. 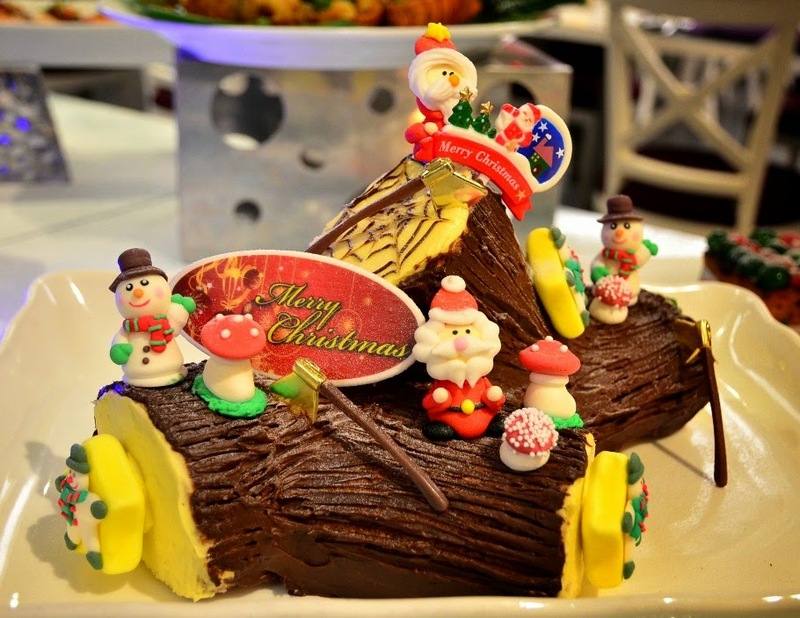 Another Christmas must-have, this yule log was too cute to be eaten! 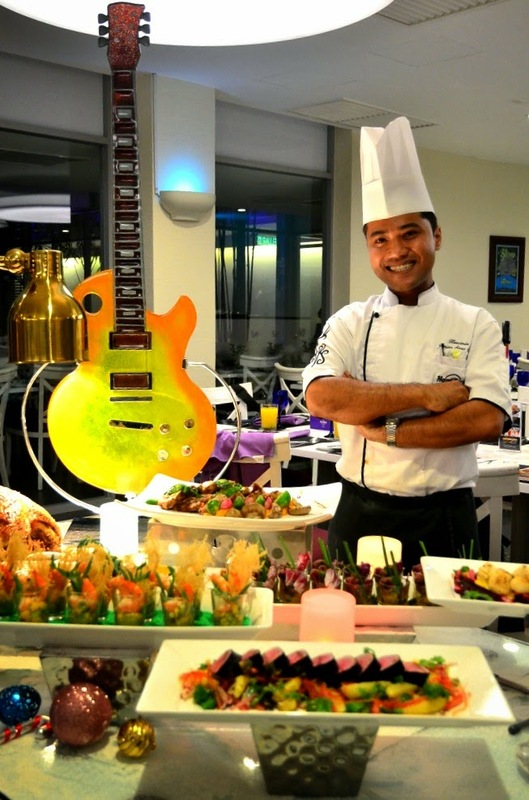 The Christmas Eve Rock n Roll buffet dinner is priced at RM160++ per person at Starz Diner. 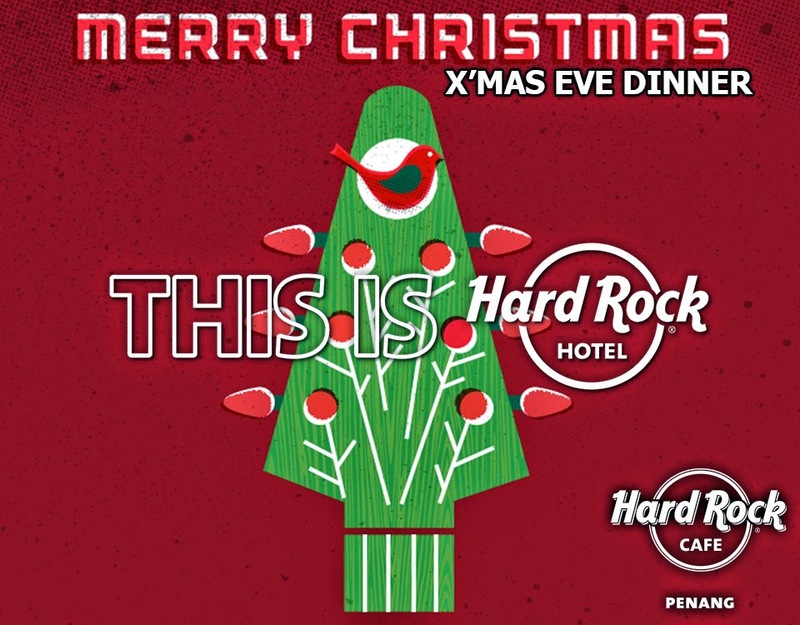 If you're not keen of buffet, opt for their 4-course dinner on Christmas Eve at Hard Rock Cafe. It is available at the same price, which is RM160++. 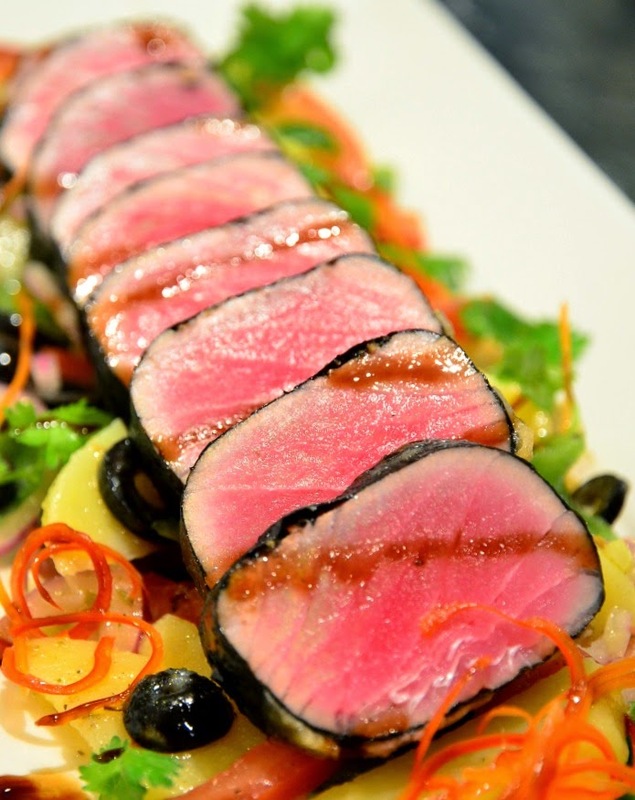 prepared specially by the popular Chef Joe at Pizzeria on Christmas day. 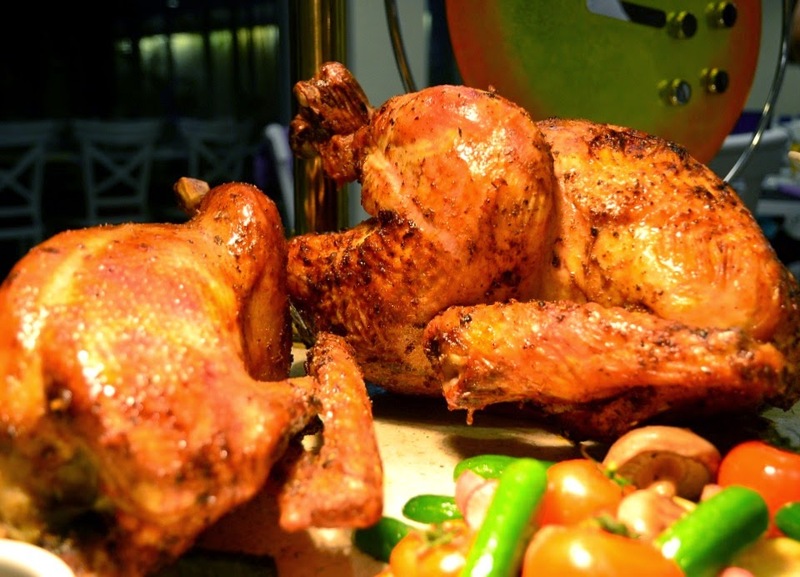 End the year with a bang at their glorious New Year's Eve buffet dinner! 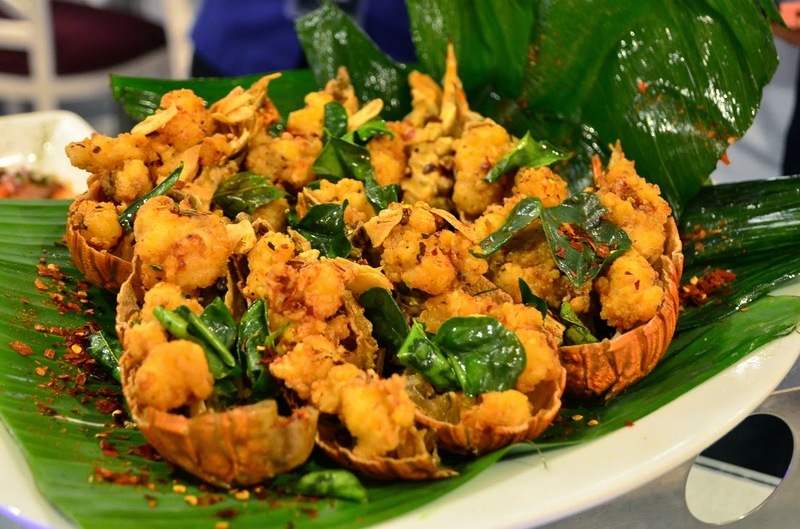 All the highlights were lip-smackingly good, especially the wok fried slippers lobster. Love the basil and garlic that added kick to the flavor. looking at the pinkish meat alone makes me hungry. 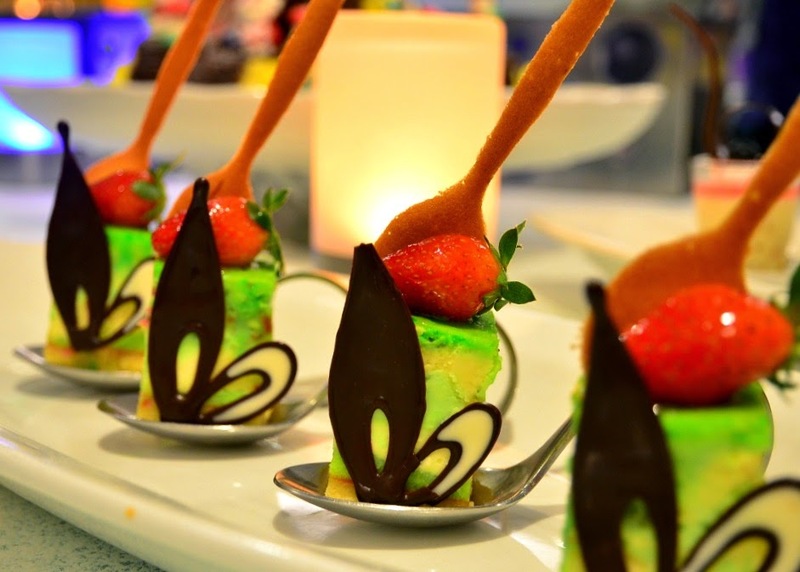 The New Year's Eve buffet dinner is priced at RM172++ per person, available at Starz Diner. 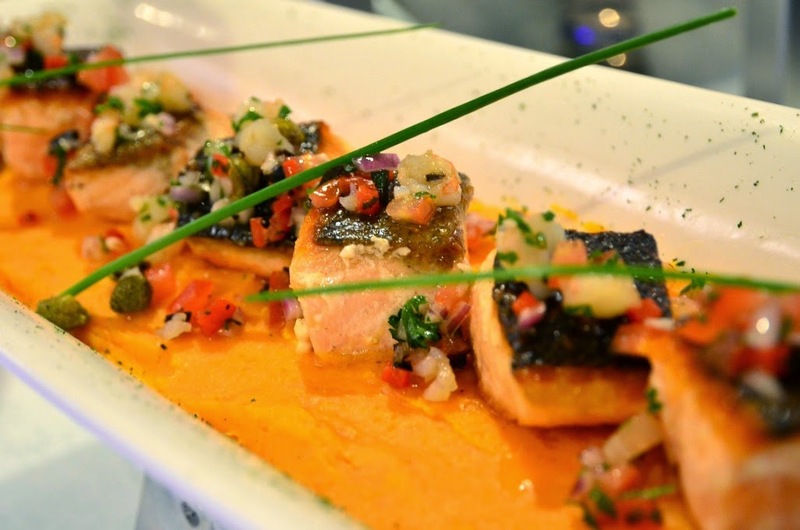 For seafood lovers, head over to Pizzeria for their Seafood Buffet Dinner. 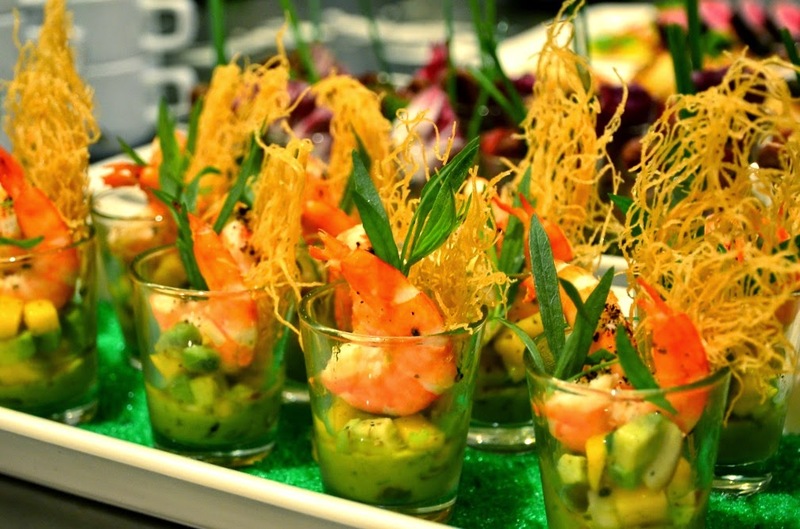 barbecue seafood, pasta station and Chef Joe's flying pizza. 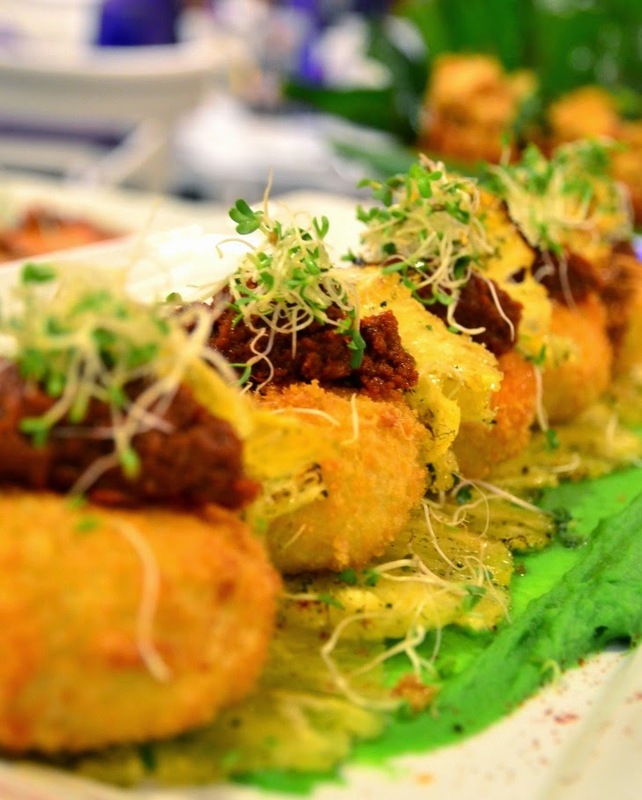 Meanwhile, 4-course set dinner is available at Hard Rock Cafe at RM170++. Abruptly end the food talk and bringing your attention to this tree. 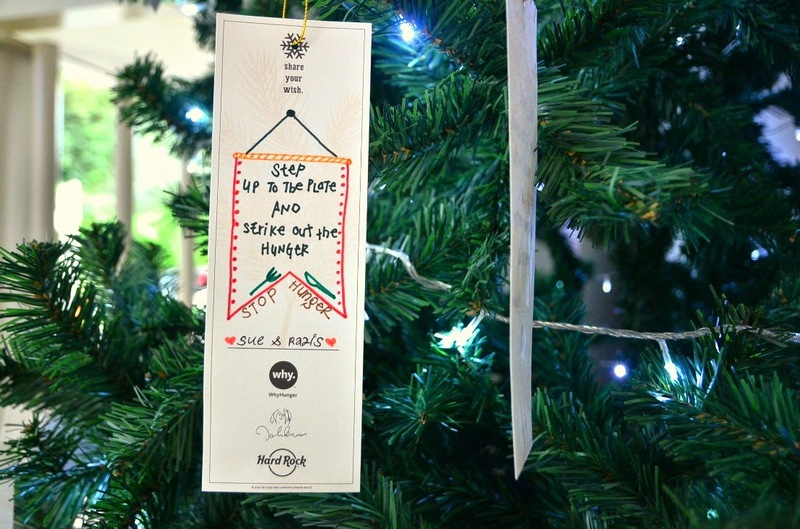 as the ornaments are made of wishes to fight world hunger. and nutritional feeding programmes worldwide. 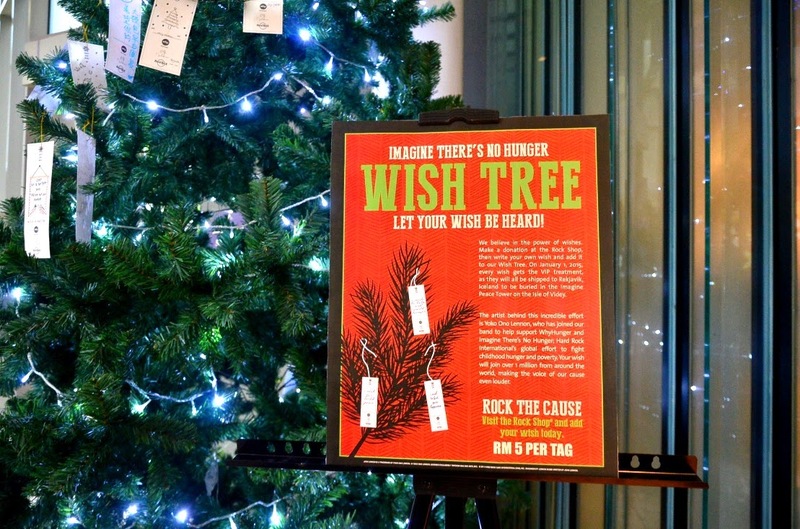 Get the wish tag at the Rock Shop at RM5, write your wish and hang it on the Wish Tree. Let us all Take Time to be Kind! 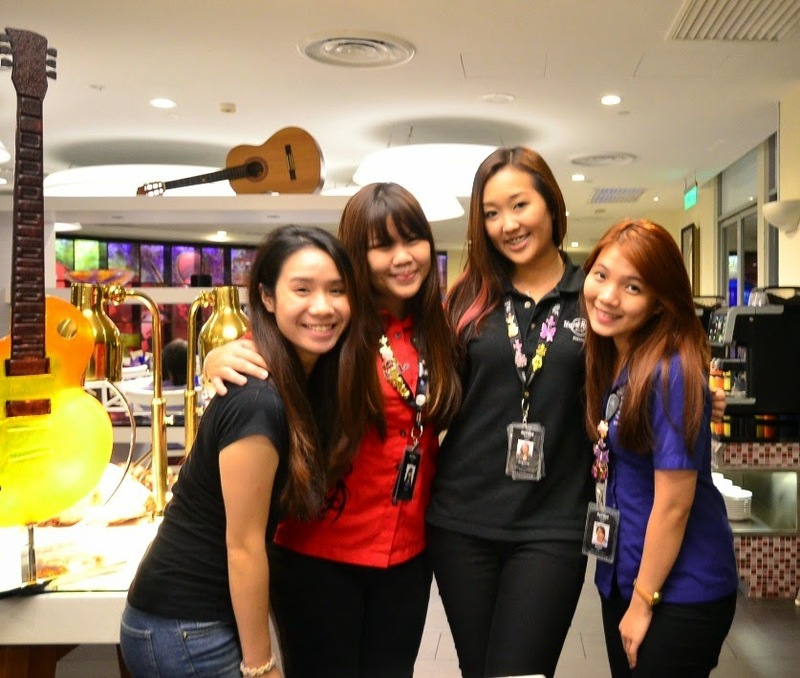 Last but not least, a happy groupie with Sheryn, Angeline and Karen. Sorry the photographer got shaky hands, too much chicken feet perhaps. 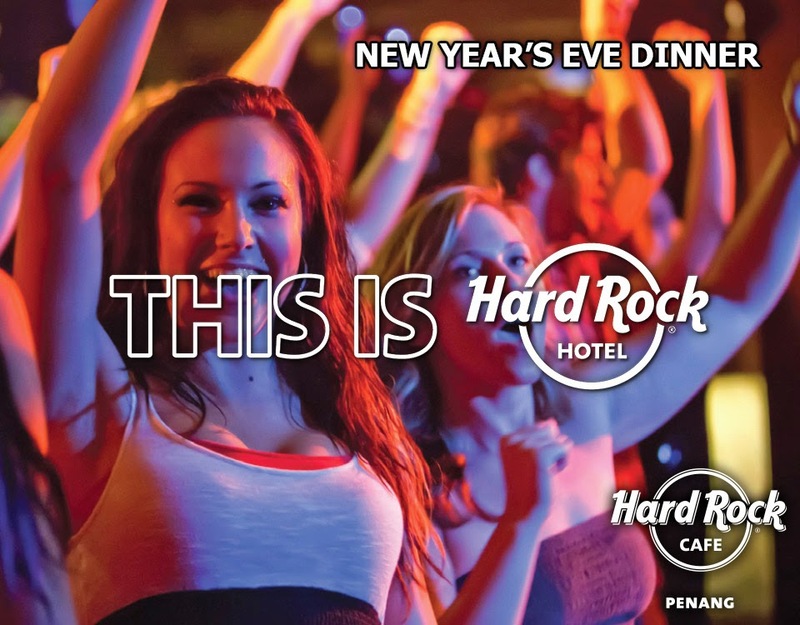 Huge thanks to Hard Rock Hotel Penang for hosting!